Local food and drink from Ruby Country. Once tried is never forgotten. Incorporating quality ingredients with skill and ingenuity the end result is invariably fine local produce from Ruby Country, making a taste of Ruby Country a memorable experience. Click on your choice of Local Produce or use the map to find the best location for you. The links below give you more information about the individual businesses and where to buy their products. 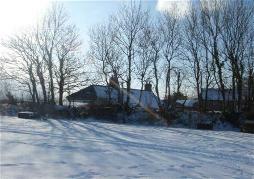 Youldon Moor Cottage is our smallholding set in the beautiful Devon countryside near Holsworthy. We specialise in slow grown, free range pigs, sheep and poultry. We have been producing our own delicious meat and eggs for friends and family for many years and we are now opening our doors and offering others the chance to enjoy our products. 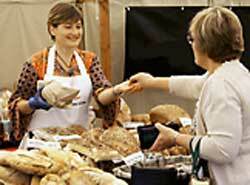 We offer fresh pork, lamb, turkey, duck and eggs available via post, local food fairs. Hallwood Fresh Veg is an award winning local family business, supplying local people and businesses with our wholesome food, where the environment comes before profit, and flavour comes before yield. Hallwood Fresh Veg offers free delivery of seasonal local produce delivered to your door, choose from a range of sizes of Veg Bags and Veg Boxes which start from as little as £7. Vegetables, smallholding tours and talks from the small holding in Red Post between Holsworthy and Bude. The ethos of the business is to provide quality products, in a knowledgeable and friendly manner and to make each customer a friend. We are helped in this by our suppliers and producers who have a similar approach. No impersonal checkouts, no false offers, no grinding down suppliers prices, no demands for free promotional goods. Just excellent value, competitive prices, courteous service and longstanding relationships with our customers and suppliers. 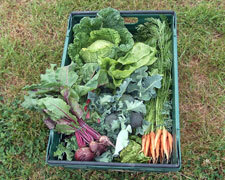 Welcome, Holsworthy Organics works co-operatively with other small growers to grow and deliver vegetable boxes in the Torridge, West Devon and North Cornwall area. Crumbly, rich and scrumptious, is the only way to describe the handmade fresh Clotted Cream Devon fudge made traditionally by Suzy, using local butter, clotted cream and milk without any artificial additives or preservatives. 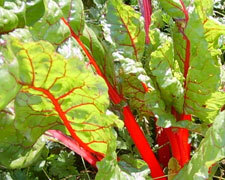 Elmar vegetables are based in Pyworthy, on the border between Devon and North Cornwall, near to the towns of Holsworthy and Bude. 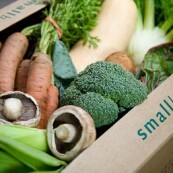 We supply Organic Vegetable Boxes, delicious, fresh and locally grown to Soil Association Standards. For the last 25 years Curworthy Cheese has been made at Stockbeare Farm situated in the mid Devon countryside under the shadow of Dartmoor. A perfect area for grass growing with its unique climate of rain and humidity. We are committed to the standards for Real Bread set by the Real Bread Campaign so Real Bread Campaignyou can be sure that you will be eating bread that tastes great and is good for you. Always look for the Real Bread Loaf Mark. You can find us at Farmers Markets and Food festivals in Devon and Cornwall. See our Calendar. The Shebbear Cheese Co. is run by Sarah and Chris Styles-Power from their home in Devon. We make all our cheeses by hand in small batches using pasteurised milk from Dunstaple Farm, a well-known Devon ice cream maker. 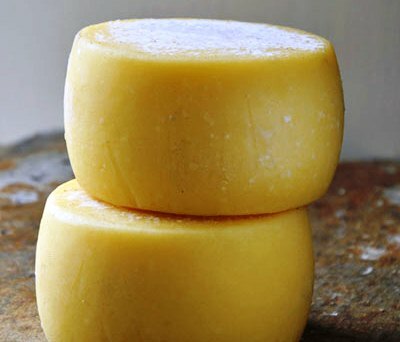 It is this unique combination of creamy milk and traditional cheese making techniques that give our cheeses their buttery rich flavour. 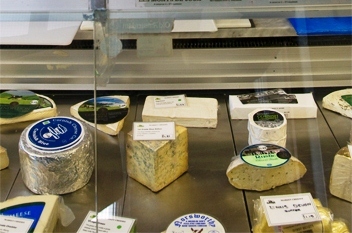 A range of traditional cheeses are available to purchase from Holsworthy and Hatherleigh markets and other other fairs and events throughout north Devon. Eversfield Organics are suppliers of organic beef, lamb, vegetables, cheeses, soups and sauces. Eversfield Organic is a 450 acre family-run organic farm nestling deep in the heart of the Devon countryside on the edge of Dartmoor. The family had held a lifelong ambition to own a small estate in the heart of the country.The Eversfield Organic team wanted to change the blueprint for the newly expanded estate and set about creating a model organic farm from scratch, complete with plans for a state of the art fully EU-licensed cutting plant. This ensured that the ´Eversfield quality´ was maintained throughout the process: from farming our organic livestock through to hanging the meat on site to develop the flavour; and from the all-important skilled butchery to the packaging and shipping of customers’ orders. HOLSWORTHY ALES is a microbrewery situated in the heart of the Ruby Country in Devon. We started brewing in June 2011, based in Clawton, near Holsworthy. Our approach to brewing, which is unique in Devon, goes back to traditional methods and avoids all additives. Our draught ales, produced using just barley, hops, water and yeast, are distinctive, popular, and have well defined flavour. We use the finest ingredients to create a selection of high quality creamy fudge. 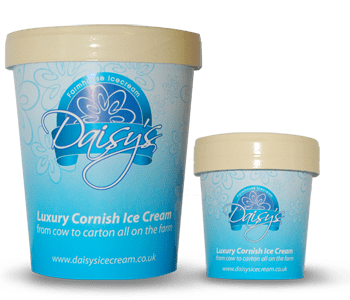 Handmade in a variety of delicious flavours – including classics (Clotted Cream, Chocolate and Rum & Raisin) and contemporary flavours (Strawberry & Balsamic, Lavender & Nectar and Blackcurrent & Rosemary)! We are based in North West Devon near the Cornwall border. At first the fudge was being made in the farm house kitchen; however we planned to convert the old dairy into a new kitchen with its Wonky roof, however we soon out grow the Wonky Kitchen before it had been converted! We are now making the fudge in Holsworthy in our new Kitchen!. Our beautiful 6 acre vineyard lies in central West Devon, nestling in a delightful vale, a few miles from Okehampton. From the top of the vineyard the highest point of Dartmoor National Park is just visible behind Heath Moor ridge, which gives all important shelter to the local area. Because the grapes are grown in this country, we can call our wine English, as distinct from British. Eastcott Wines are now internationally recognised and they have won awards every year in the UK vineyards competion. Cottage Farm Organics, Jacobstow, North Cornwall. Winkleigh Cider has grown steadily, increasing production and product ranges which include traditional ciders and scrumpies. Still a family owned firm, Winkleigh Cider Company is committed to the highest quality standards for both its products and customer service. During “Pressing time” of October to early December, you can also watch the apples being unloaded, cleaned, and pressed at the beginning of the fermentation process. including flavourings and colours, are natural and of the highest quality.